Practical hand tools for all your basic needs at home. You can also use the hammer as a rubber mallet, since a separate rubber casing is included. The tools have an easy to grip handle of soft synthetic rubber. 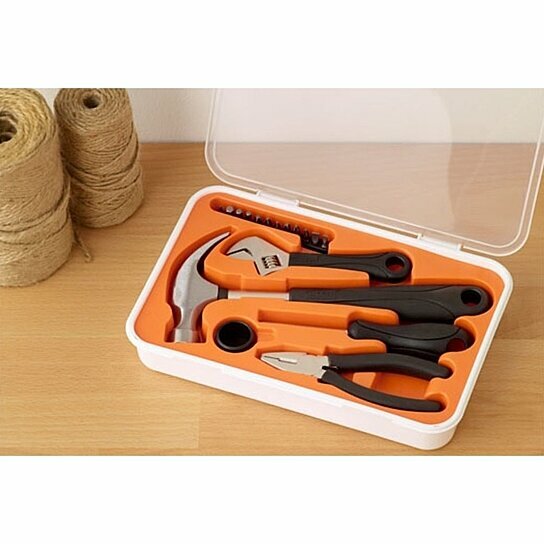 Contains: Hammer with separate rubber face, adjustable wrench, combination pliers, bit screwdriver with bits for slotted, cross-head and hex screws, and an awl.